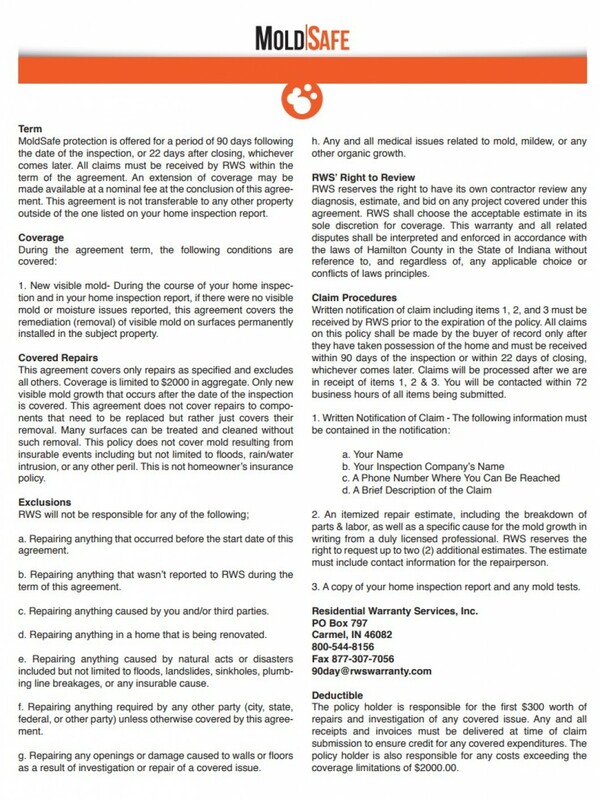 You rely on our home inspections to keep you informed about your home’s condition. When we tell you that your home is mold-free, you want it to stay that way. That’s why Home Inspection Professionals LLC provides MoldSafe, protection offered for a period of 90 days following your home inspection in Beloit & Janesville, WI and the surrounding area. Cover your bases today. Call us now to learn more. By signing up for MoldSafe, you’re protecting your home from new mold infestations. MoldSafe protection covers new mold remediation following an inspection conducted by Home Inspection Professionals. 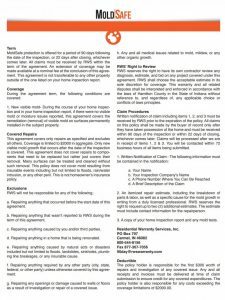 If we’ve confirmed in your inspection report that there were no signs of visible mold or moisture, this agreement will cover the removal of visible mold on surfaces permanently installed on your property.